"I Am a Fugitive from a Chain Gang" underlines society’s strict class indicators and denial of any possible social mobility. Allen (Paul Muni) was able to get out and be a productive member of society, but that possibility only exists if the individual is treated fairly. "I Am a Fugitive from a Chain Gang," which was based on a true story, upset audiences and moved them to take action. 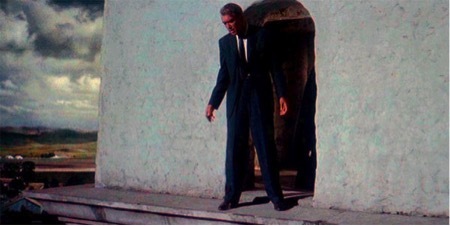 What does the ambiguous ending of "Vertigo" mean in the context of the rest of the film?